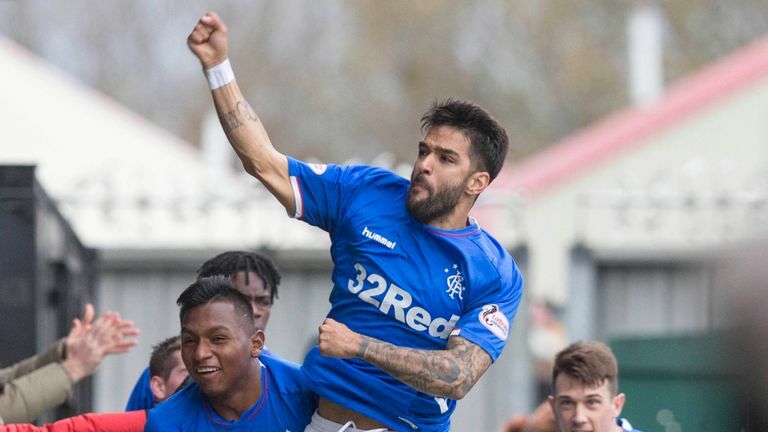 A stunning effort from substitute Daniel Candeias and a late strike from Alfredo Morelos gave Rangers a 2-0 victory over St Mirren. In a game of few chances, Rangers winger Candeias opened the scoring in the 80th minute, unleashing a thunderous shot which left St Mirren 'keeper Craig Samson helpless. It was a cruel blow for the hosts who had defended resolutely, with Morelos' injury-time goal securing the three points before Candeias was sent off for a second bookable offence following the goal celebrations. Rangers were completing their first back-to-back away victories of the season and the three points moved them up to third in the Scottish Premiership table, while St Mirren remain second bottom. 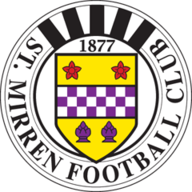 St Mirren made four changes from their Wednesday night loss to Motherwell with Erhahon, Willock, McShane and Mullen all starting. Rangers also made four changes from the midweek draw against Kilmarnock with Ejaria, McGregor, Jack and Grezda all coming in. In a wet and windy Paisley encounter, it was St Mirren who started the brightest, Ian McShane and Ryan Edwards forcing Rangers goalkeeper Allan McGregor into fine early saves. The hosts' direct approach in treacherous conditions belied a side who had previously only claimed one point from their last 10 games. And it continued to leave Rangers frustrated with a Morelos half-chance from a teasing Ryan Kent cross their only real effort in the opening 45 minutes. After the break, Rangers began to turn the screw with Eros Grezda hitting the post, while a series of St Mirren last-ditch blocks denied Morelos, Kent and Scott Arfield. But St Mirren's resolve was finally broken in the 80th minute as Candeias thundered the ball in from the edge of the box before Morelos made it two late into stoppage time. It was a frantic end to an otherwise dull encounter as Candeias was also shown a second yellow card for an altercation with St Mirren's Anton Ferdinand after Morelos' goal. Making his 300th appearance in a Rangers shirt, the Scotland international goalkeeper was once again the man to the rescue as St Mirren threatened in the early exchanges. 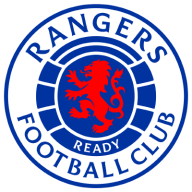 Rangers travel to Russia to play Spartak Moscow in their fourth Europa League tie on Thursday before hosting Motherwell in the Scottish Premiership on Saturday. St Mirren face a trip to Dundee next Saturday.